The growing popularity of street art has led to the use of graffiti for hospital fundraising purposes. 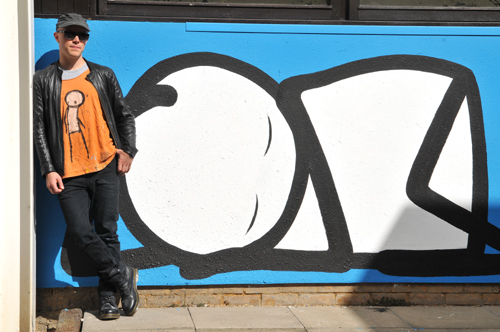 The artist Stik's iconic work is associated with areas in East London where he used to sleep rough, and he has auctioned pieces of his work to raise funds for local causes. In the autumn of 2015 he produced limited edition copies of his 'NHS Print', with his usual figure recast as a sleeping baby. 'The NHS is our baby', he told the Guardian. 'It's incredibly vulnerable'. The prints, in a range of colours that referenced NHS branding, raised £50,000 for the Homerton Hospital Regional Neurological Rehabilitation Unit's art therapy Creative Media Room.